In August we reported on a trip to a special forest at Robert’s Creek where a local group , Elphinstone Logging Focus, was trying to prevent logging and promote a protected area . 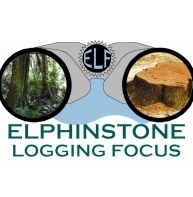 Elphinstone Logging Focus (ELF) is pleased to announce that they’ve been informed by BC Timber Sales (BCTS) that Cutblock DK045, which ELF has been lobbying to protect, has been canceled from future BCTS logging plans. DK045 was part of a larger TFL A79517 (Dakota Bowl, lower Sunshine Coast) consisting of Yellow-cedar and hemlock where the trees range in age from 800-1,800 years old. This key headwaters forest (17.6Ha/43.4acres) is located on the north slope of Mt. Elphinstone, and acts as corridor with 2 Wildlife Habitat Areas. ELF flagged a trail through the forest to allow for easier access and gave it the name ‘Roberts Creek Headwaters Ancient Forest’. In August ‘13, Friends of Ecological Reserves (Victoria) conducted an exhaustive flora inventory of the area and then made a recommendation to have this forest become a new Ecological Reserve to highlight its bio-diversity. In Sept, Ancient Forest Alliance (Victoria) conducted a photographic expedition documenting the ancient cedars and the proliferation of Pacific Yews.